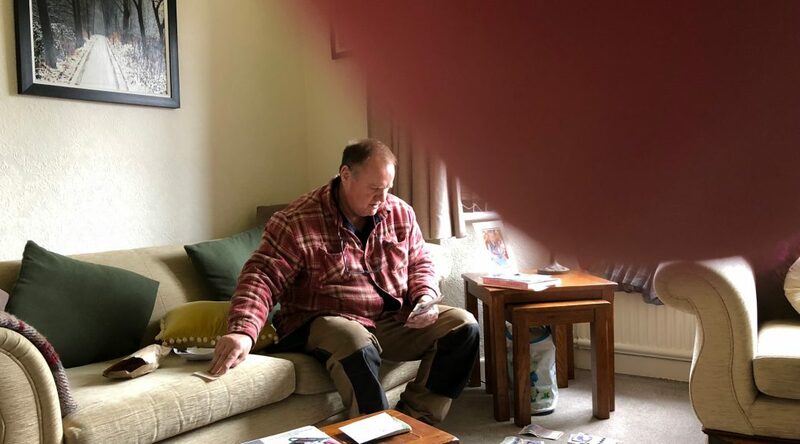 Jeffrey Morris who formerly sold protective clothing and steel toe cap safety shoes ( still does) could see in Essex a lack of people who can Service /Sharpen Professional Scissors- right and left handed plus thinning scissors/ texturising scissors etc. So Jeffrey drove the 200 miles or so to FRANKLAND GRINDING PRODUCTS ,Accrington to have Professional Training with Arthur Frankland. One day of more or less five hours of theory and Practise and Jeff had learnt the basics. He brought some blunt scissors with him. Later we serviced them. Of course Jeff gave Arthur permission (GDPR) to print this article. We now hope as a result of this that Essex people will now become aware of Jeff’s New facility.